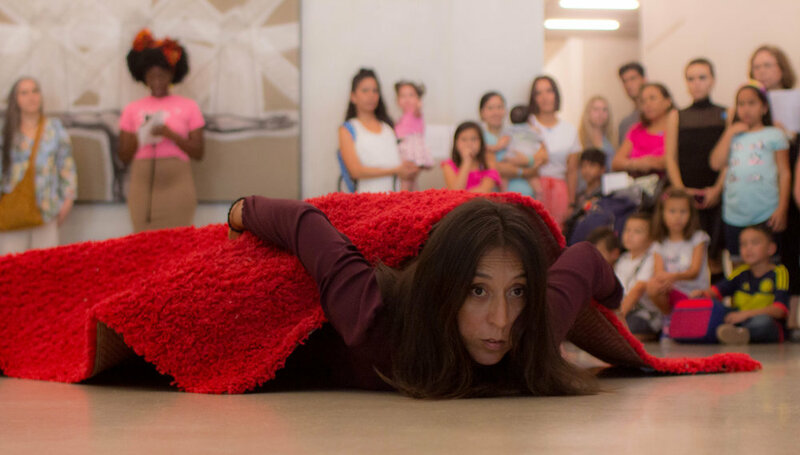 I was invited to create a piece inspired by one of the pieces in the permanent collection of the Perez Art Museum (PAMM), as part of Dancepalooza. 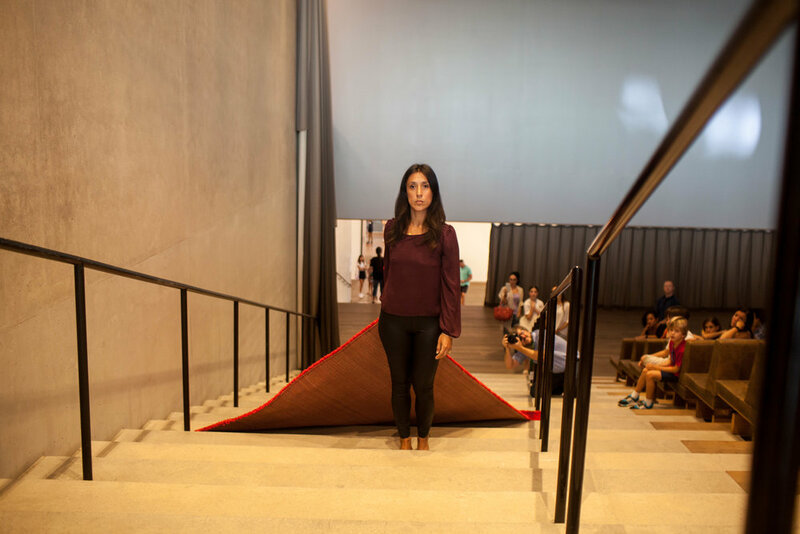 I chose to work with a piece by visual artist Teresita Fernandez titled Fire (America). There is more than meets the eye in Fire (America)’s seemingly beautiful sunset-like horizon massive panel genially constructed with tiny ceramic glazed pieces. Emerging from stark darkness, the yellow and red ravaging flames spell out wildfire, extinction, disdain from nature, loss and apocalypses but also subversion and even life. Call 911 Again is an invocation/ritual to natural phenomena, knowing that not all fires can be put out with a 911 call, especially when we have fire in our hands.